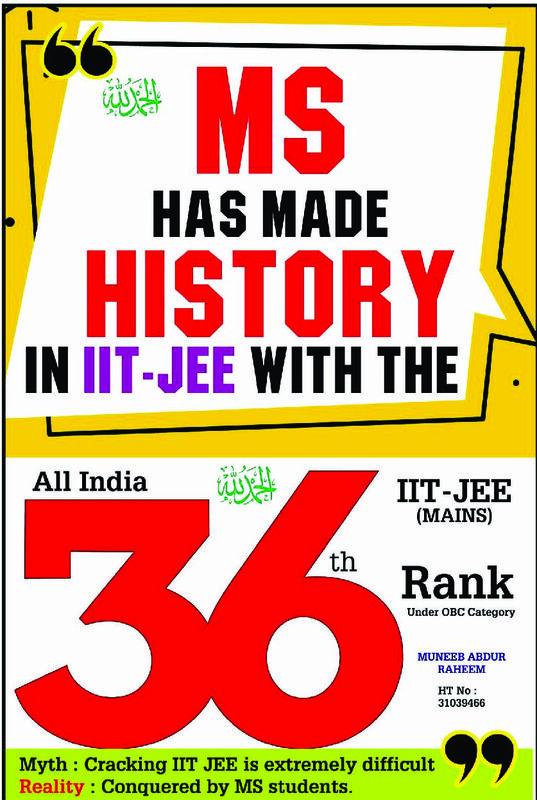 Hyderabad: MSian once again scripted history in IIT- JEE (Mains) 2018 examination by securing All India 36th Rank.n Muneeb Abdur Rahman secured 36th All India Rank in OBC category in IIT (Mains) 2018 examination. His success is a big achievement for the community. He got 286 /360 marks. 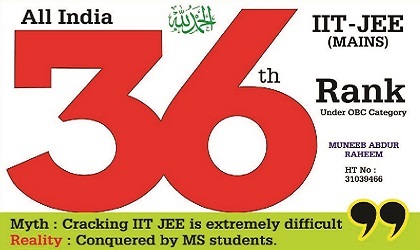 There are total 57 MS students who also qualified IIT (Mains) the examination with flying colours and got good ranks. This grand success enables them to take admissions in any of the premier Engineering colleges of their choice. 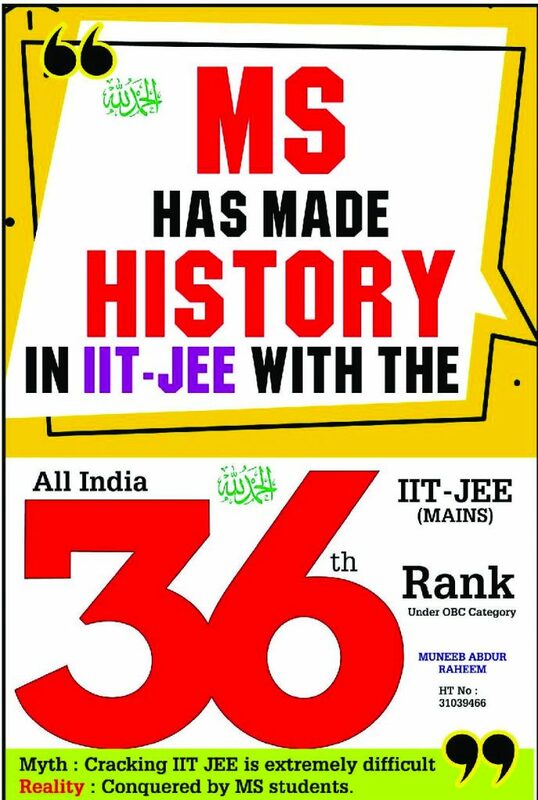 Seeing the pathetic representation of Muslims youth in IITs and NITs of the country, MS Education Academy has taken the initiative to prepare them for this prestigious examination. And it is the result of this initiative that currently 46 pass outs of MS are studying I various reputed IITs / NITs of country. In the words of Director Afzalur Rahman, there is hardly any premier institutions of country where MSians have not secured a seat. The pass outs of these institutions are most sought after in the job markets. The big multinational companies hire them paying high pay packets.